Saving money is a long term strategy: getting into the right habits will help you along the way. My mother is fond of a saying: waste not, want not. When I say ‘fond’, I mean she likes to repeat it EVERY single time I want to throw anything out, from the kid’s sandwich crusts to the bell bottoms I’ve had in the back of my closet since… well, never mind how long since. The point is, her philosophy is simple: if you don’t waste, you won’t be wanting. Frugality at it’s finest, brought to you by her WWII upbringing. The really disturbing part—and don’t tell her I said this— is that she’s not wrong. Okay, we can do without the sandwich crusts, but on the whole, frugal habits can take you a the right way to some longer term goals. It all comes down to a few simple rules to live by. Saving money, in and of itself, isn’t that interesting and if you’re not in the habit of doing it, can be a little painful. It’s like dieting. Unless you have a goal in mind, it’s can be a slog. Saving money with an eye to paying off your mortgage or finally taking a family trip to Hawaii? These are goals that make the short term ‘pain’ worthwhile. So start with some long term goals, decide as a family, and make a plan as to how you are going to get there. Before you roll your eyes, if you have kids, go and look in their rooms. Right now. I’ll wait. Okay, so do their rooms look like a toy store or clothing boutique threw up all over them? Think about how much of that stuff doesn’t get played with, worn or used. Think about how much money you could have saved if you hadn’t bought it in the first place. Easier said than done, you’re thinking: after all, birthdays and Christmas and grandparents, right? But here’s the thing: if you can cut down on your conspicuous consumption, you can save. It’s not about extreme cuts, but just a trim here and there. Like how? Limit gratuitous shopping to special occasions and birthdays. If the kids want to buy a toy outside of those times, they can earn the money or use their allowance. Change the mindset about shopping: it isn’t entertainment. Invest in experiences rather than things: the memories will outlast the toys. Live more modestly: do you really a three thousand square foot home? Or can you live with fifteen-hundred square feet? Do you need to two cars? Do you need twenty-six pairs of shoes? Eat more carefully: Can you trim the takeout to once every two weeks instead of once a week? Can you drop your latte habit to a twice a week treat instead of a daily visit? Get into the habit of cooking at home by batch cooking, freezing and meal planning. You’ll save a lot on last minute takeout or a rush through the drive through. There are always ways to trim and change your lifestyle up a little so that you’re not depriving yourself, but you’re living a little more frugally. We have become a ‘throwaway’ society. If something doesn’t work or isn’t up to our discerning standards, out it goes on to the garbage heap. Change that way of thinking: can you reuse those old shutters that you pulled off the house in some way? I’ve seen people make beautiful privacy screens to split up a room, starting and ending with an old shutter. From clothes to appliances, there are things we throw away that we could repair, reuse or recycle in a better way. Come spring, if you can’t find a use for items that are still good, have a yard sale and put the money in your goal fund. We can’t get away from some spending but you can save a lot by never paying retail price, or at least if you do, getting some cash back in the process. Look for cash back credit cards, or ones with rewards that you will actually use. Just beware of high annual fees that come with some of these cards. Apps like Flipp can help you find the best deals near you on the things you are buying anyway, like groceries and pharmaceuticals. If you like online shopping, sign up for Ebates. You get cash back on your purchases through the site or app at stores that you’re already shopping at. You can also find discount codes that aren’t available otherwise. You might also like this bill payment organizer. Keep track of your spending, and saving, for a while and you’ll be surprised at how much you can put away with a few simple changes to the way you do things. Do you have a tip for living a little more frugally? We have become a society of instant gratification, we want something we just get it. Try saving for that item, by the time you have accumulated the money you may find that you would rather not spend you money on it. These are great tips. I am a very frugal person. I was taught by my parents good financial values. I love using the Flipp app. I have saved a few dollars using it. If you’re trying to cut a bad habit (eating out, junk food, smoking etc.) put your savings in monopoly money in a box and keep record of it. Because no one deals with cash anymore, it wouldn’t make sense to do with real cash, and I found that counting out the money really helped me see how much money I was saving. Another great tip: If you’re too busy to use all those coupon apps, a good way to teach your kids about saving money would be to get them to upload the receipts and keep track of them. They get to keep the money and also learn how much things cost! Great advice. Saving money is difficult, so setting reasonable goals is important. These are all good advice. We are currently working at paying off debt. It will be worth it in the long term. I love the idea about not using shopping as an activity or entertainment. So many people, especially women, use shopping as entertainment. Such a waste of money buying things you don’t need just because you got a good “deal” on it. Your mother made a very apt comment (repeatedly, lol) just like my mum who always said if you don’t have the money you can’t buy it. Back in the day I’ll admit it was easier since there was only cash and no credit cards. There was hire purchase I remember but that was frowned upon too since you ended up paying more in the end. I do think that a lot of people have an awful lot of things they don’t actually need. 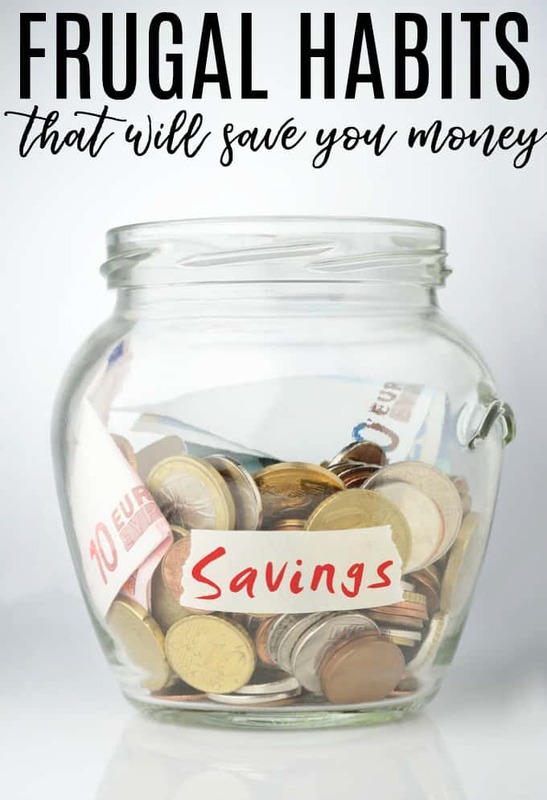 I think that saving starts with small things like you mentioned like buying expensive coffee, takeaways or eating out are all extras and really could just be a treat every now and again. I probably eat out about 3 times a year, buying coffee out is more often but still only about 10 times a year. I do not like paying full price for anything and seldom do, it all adds up in the end to quite a sum saved. I am wholly for the investing in experiences; for my godson (who has a lot of “stuff”), I have chosen to get him experiences, time spent or travel with “aunty”… I know this will enrich his life and leave him with memories he can hold on to forever. After the holidays I can really use your tips and advice to help me save. I’ve never tried ebates but I should check it out. Live with less–and then spend the savings every 3 or 4 months on stocks that pay dividends! Some great tips….we especially need to teach our children these things! These are some great ideas. The most popular post I ever wrote on my blog had nearly 5000 views, it was 40 Ways to Use it Up, Wear it Out, Make it Do, or Do Without. http://bit.ly/1VUC8c7 In fact, saving money is the most popular thing I write about. Cutting down on what we bought made the biggest difference for us. Buying used when possible really cut our expenses, too. We raised our kids in thrift store and yard sale clothes. My daughters think anything retail is overpriced, so they naturally look for bargains. I love the idea about experiences over things. I stopped buying presents for my nieces when they were still young and opted for experiences instead. One of my nieces is now 16 and still talks about the time I took her to Discovery Cove when she was 6.
i am a big fan of ebates! I will have to check out Flipp! I am looking to declutter and use up things this year. Hopefully i can save a bunch doing that too. Thank you for the advice. It was very helpful to read this! I am definitely feeling poor after the Holidays. I am hoping to make some positive changes and save money! Happy New Year! I am an avid reader and have been buying books for years….but it all adds up – so save money by going to your local library and borrowing your must read books. Great tips, i think I do pretty good at looking for deals but could do better when it comes to using what we already have instead of getting new. All of these are really great points. I find that it’s more satisfying to do something well frugally than just spend money without thinking about it. We don’t need as much as we convince ourselves we do. I love all of these tips. I’ve shopped at thrift stores for everything from clothing to furniture and have often found just what I needed at a fraction of retail. I’m a fan of Dave Ramsay’s instruction to give every dollar a name and this is the assignment for it. Set aside specific funds for emergencies or for once a year bills like taxes or insurance. These are good tips. I’m trying to save money and not shopping is a great start.